I want to bake some info into texture. But I can’t find a way to automaically unwarp my model. Lightmap Pack is very close to what I need, but it does not account the pixel size, and some polygons can end up with no real texture space. 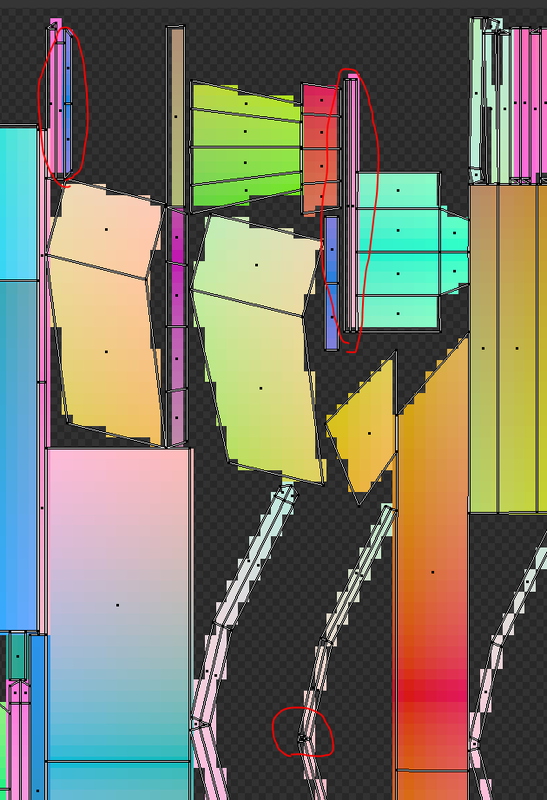 I want every polygon to corespond to at least one pixel of texture space. 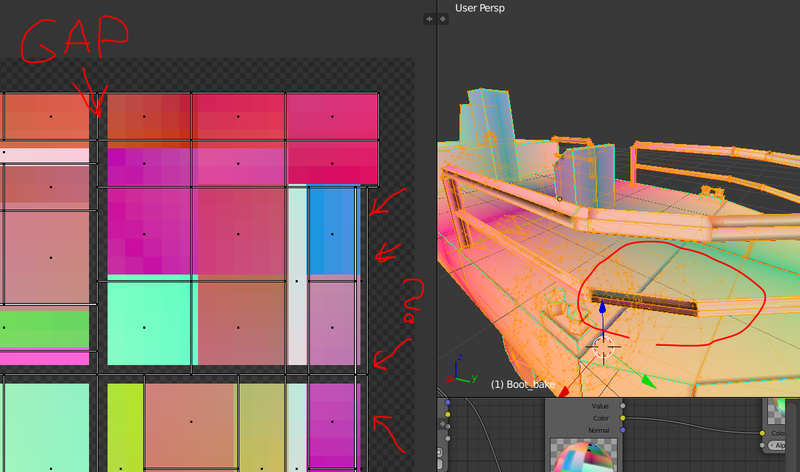 (U) then (smart UV) should automaticly Unwrap your selected mesh. Tank you for suggestion. I have all my transform data applied, don’t think it affects anything. Unfortunately Smart UV also produces polygons that are smaller than the pixel size. Here is another example with some margin. 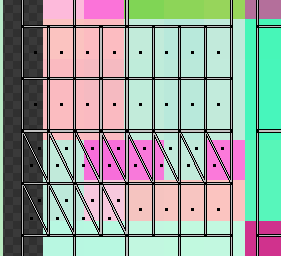 You can clearly see that some UV islands just slip between pixels. 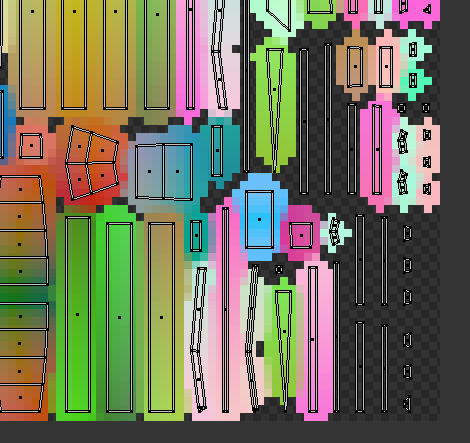 256x256 texture is 65 000 pixels should be enough to map 950 faces of my model and have some pixels for everyone. maybe snap to pixels is what you want.